The transport channel along the River Nile between Jonglei and neighboring Fangak states has resumed following two weeks of suspension over insecurity. The shipping system throughout Jonglei, Eastern Lakes and Fangak states was suspended late last month when clashes between communities of both states along the Nile resulted to the loss of lives. Speaking to Juba Monitor yesterday, Elijah Thongbor, Jonglei State General Secretary for Boats Union confirmed the resumption of river transport after roughly two weeks of non-operations. He said normal operations have resumed after the two rival communities vacated the disputed area. “We have learnt of the deployment of security forces on the ground over there. So those forces are now at Jorwach area and they are in control of the area,” Mr. Thongbor explained. “So I can confirm that normal operations have resumed. So far more than 10 boats already arrived in Bor town from Fangak since the beginning of the week,” he stated. According to Thongbor, there have been no incidents reported in the fishing island for the last four days. He urged all the South Sudanese to embrace peace for the sake of development instead of confronting each other on the roads. “This system of fighting and ambushing each other on the roads and water points should be discouraged. It does not give sense if we the indigenous keep on fighting each other every time. I would want each and everyone to cease from such acts,” Thongbor stated. “These are backward practices. If we continue doing them then we will definitely remain behind constantly. Trust me; we will never achieve the development we always sing in the songs,” he concluded. 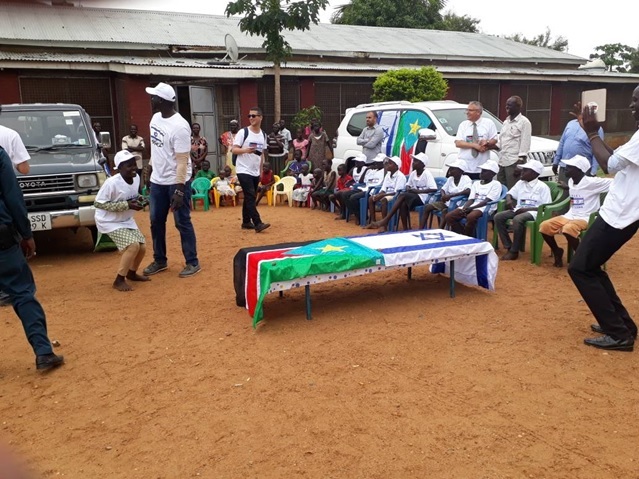 On 18th of last month, communities of Eastern Lakes and Jonglei states at the eastern bank of the Nile clashed over the ownership of Liet-Buoi area, a fishing island located along the Nile between Cuetakuet and Jorwach areas. At least two people from both sides got killed in that incident and many others were injured. Following the fighting, revenge attacks had been allegedly reported along the Nile. As a result, the authorities suspended the transport system to prevent more of lives due to revenge attacks.